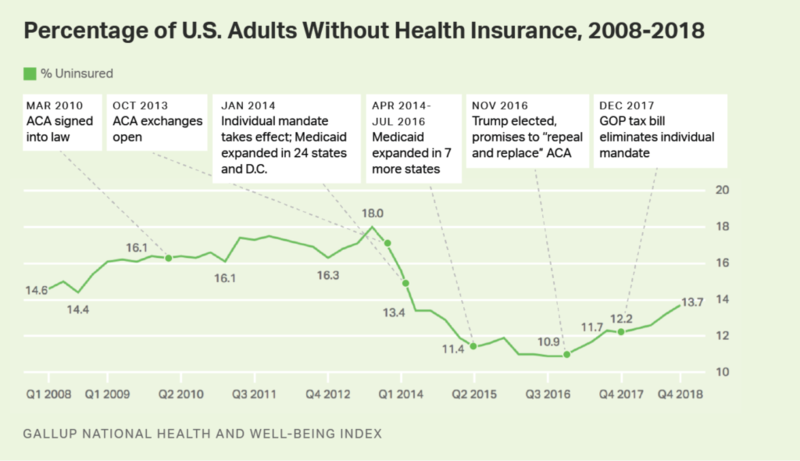 The repeal of the individual mandate may have begun to appear in the uninsurance statistics. According to figures from Gallup, insurance rates rose to 13.7%, up from a recent low of 10.9% in Q3 2016. Next Post Next post: Is there a physician available?